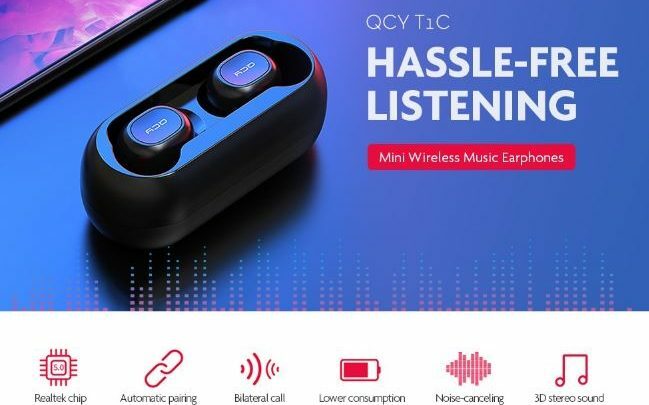 QCY T1C Mini Bluetooth 5.0 Wireless Music Earphones is a compact true wireless earphone with elegant design and different color. The earbuds are small and have a quite loud sound. The headphones support high-sensitive Bluetooth 5.1, have stronger and quicker voice transmission than BT V4.0 and BT V4.1. 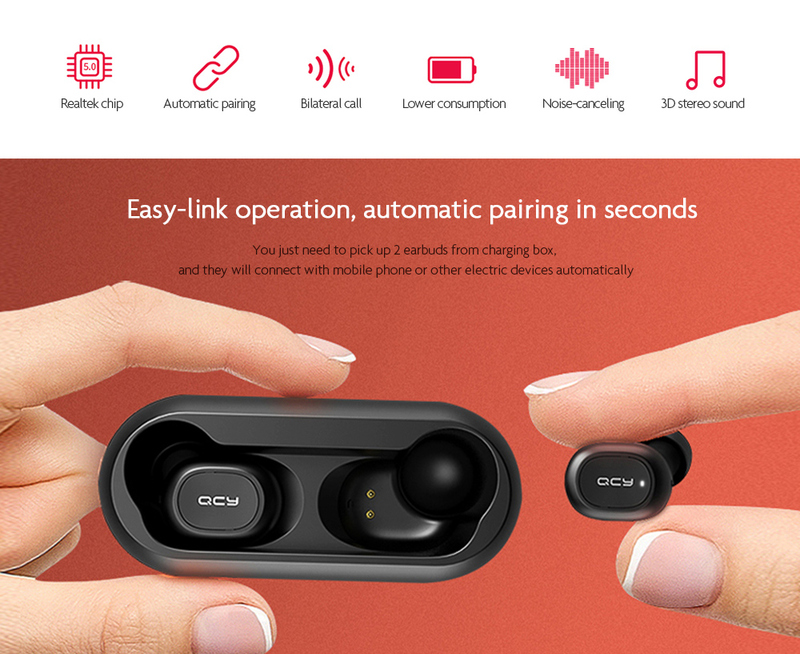 Feel free to enjoy natural and beautiful songs at anywhere anytime, no problem of wire can truly free your hands, powerful connection, auto-pairing design, and ergonomic earbuds, also provide you with a simple and comfortable experience. 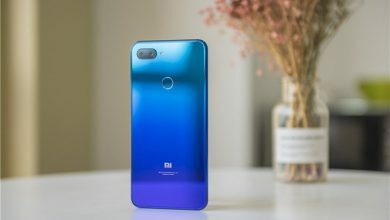 The advanced chip ensures lower power consumption and as well as high performance. 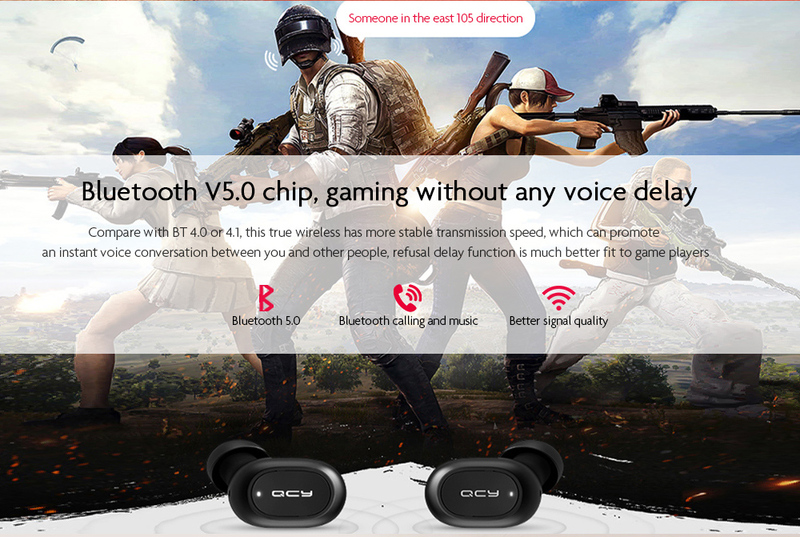 It ensures gaming and calling without any voice delay. 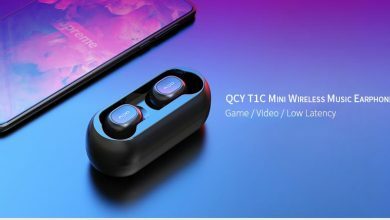 QCY T1C Mini Bluetooth earphone has the most stable and strong transmission signal with faster speed. 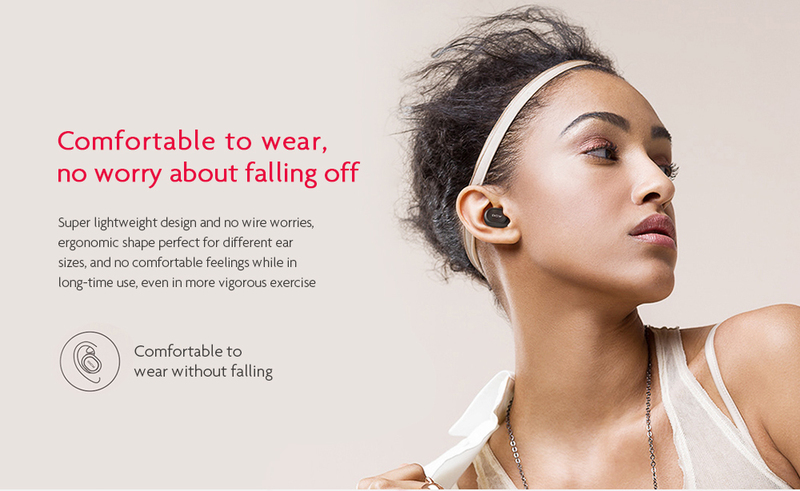 Meanwhile, the advanced noise cancellation technology will give you the natural audio hearing experience on both sides. It also monitors the background noise to enhance quality. Besides, one button operation let you pause or playback music, answer or hang up calls, switch up or down easily. It automatically connects to the paired device when you take them out from the box so that you do not need to connect them manually. Finally, the con of the product is the size of the box is large so that it may be a trouble for you to carry in pockets or in bags.